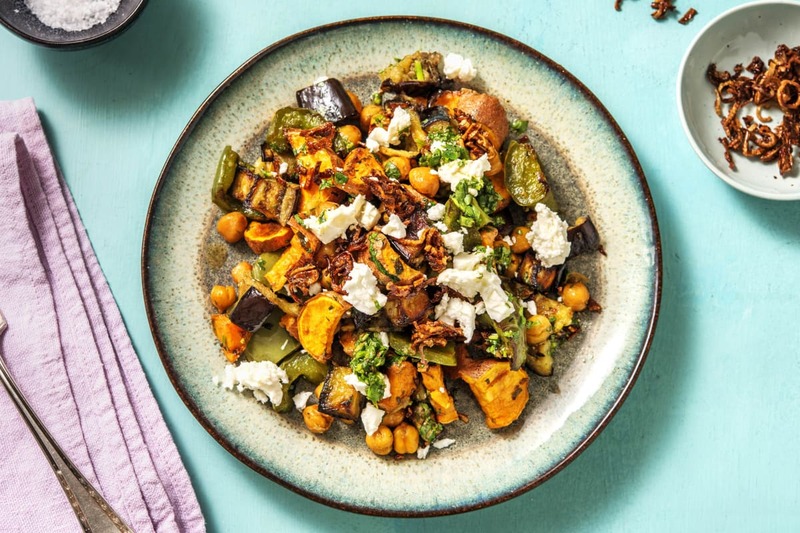 We love a good Vegetable Bowl with Onions and Feta and this deliciously simple, chef-curated recipe doesn't disappoint. Time to bust out the pots and pans! Preheat your oven to 220°C. Trim the aubergine then halve lengthways. 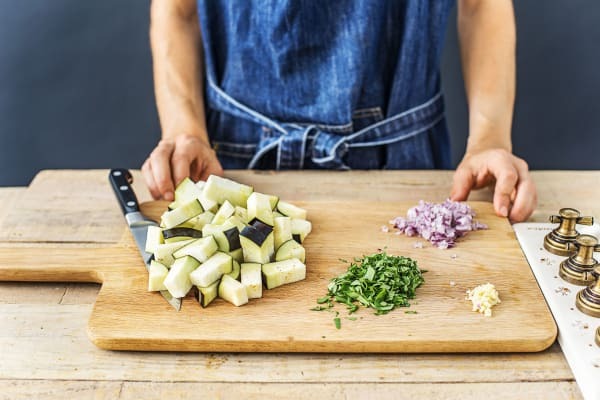 Chop each half into four long strips then chop widthways into roughly 2cm pieces. Chop the sweet potato into 2cm chunks (no need to peel!). Halve the pepper and discard the core and seeds. Chop into pieces roughly the same size as the aubergine. Halve, peel and thinly slice the shallot. 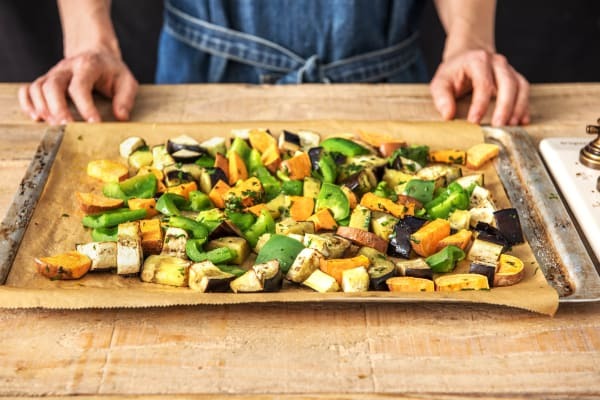 Pop the potato, aubergine and pepper onto one large baking tray. Sprinkle over the Sabzi ghormeh and a good pinch of salt and pepper. Drizzle with oil and toss to coat everything well. Arrange in a single layer (use two trays if you need more space!). Pop onto the top shelf of your oven and cook until everything is golden and slightly crispy, 25-30 mins. Turn after 15 mins - this is when we will add the chickpeas! 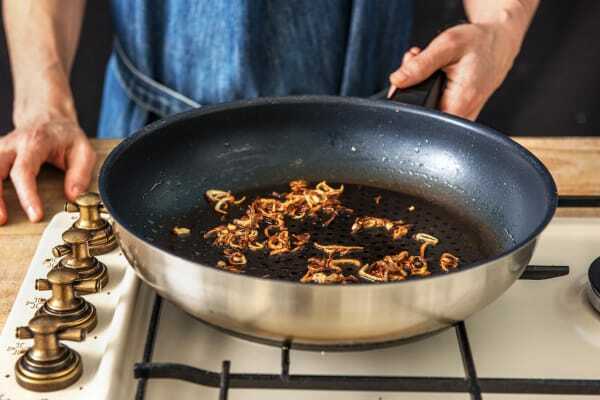 Meanwhile, heat a good drizzle of oil in a large frying pan over medium heat. Once hot, add the shallot, a pinch of salt and a good sprinkling of sugar (if you have some!). Cook until crispy and golden, stirring regularly, 7-10 mins. Once done, remove from the heat and transfer to a bowl lined with some kitchen paper (this will absorb any excess oil!). Drain and rinse the chickpeas in a sieve. Pop them onto another baking tray and sprinkle over the ground cumin and some salt and pepper. Toss to evenly coat, then set to one side. When the veggies have been in the oven for 15 mins, pop the chickpeas onto the middle shelf of the oven to cook for the remaining time. They should come out nice and crunchy! In the meantime, roughly chop the coriander (stalks and all). Zest and halve the lime. 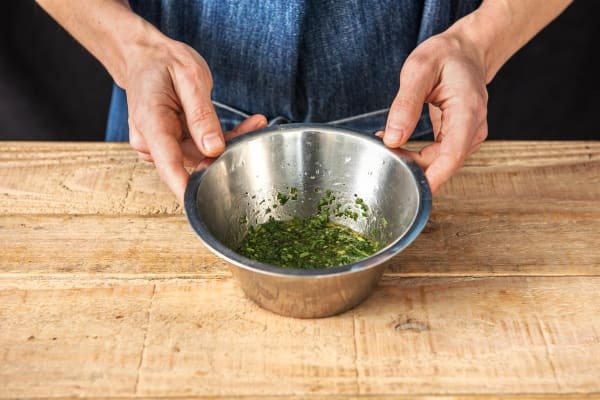 Add half the coriander, the juice from half the lime and the olive oil (see ingredients for amount) to a small bowl. Mix well and season to taste with salt and pepper. 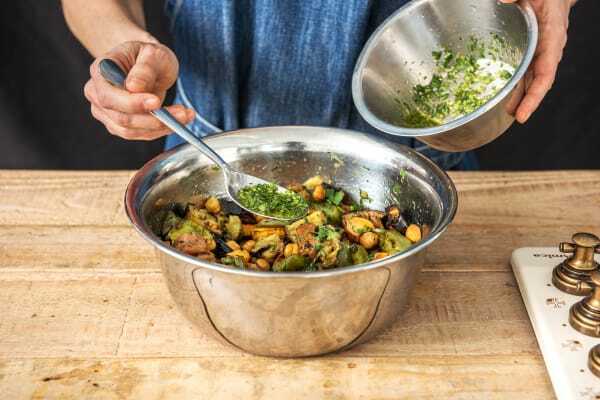 Once the veggies and chickpeas are out of the oven, tip both trays into a large mixing bowl. Stir through the remaining coriander and the lime zest. Share between your bowls with the crispy onions on top. Crumble over the feta and spoon the drizzle all over. Enjoy!